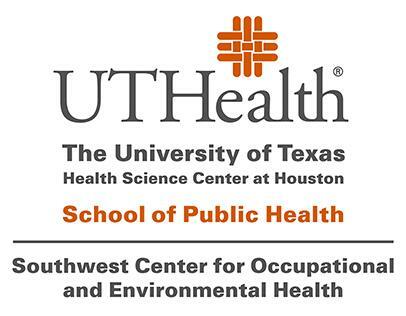 The Southwest Center for Occupational and Environmental Health (SWCOEH) understands local community residents and workers may have questions as the petrochemical fire at Intercontinental Terminals Company (ITC) LLC in Deer Park, Texas continues to burn. The below resources are to help you stay informed and connect with local health information in your community. Click through words in orange to connect with information. Bathe your pet, while wearing gloves, if they have come in contact with residue/particles from the fire. Concerned about how healthy the air is in your community? Need access to health information in your community? Need a resource not mentioned above? through your local 2-1-1 provider. The SWCOEH does not endorse or monitor the above listed websites. Some of the websites listed may not be ADA accessible. Call 9-1-1 in the event of an emergency.